One of Portugal’s best cities to visit, Évora, is only 1.5 hours away from Lisbon by train. Although some may consider making it a day trip to the capital of the Alentejo, it is wise to plan for a few extra nights. With its UNESCO medieval sites, delightful regional foods and wineries to visit, Évora will keep you busy for two days or more. To immerse yourselves in the local culture and tradition, Vitória Stone Hotel offers the perfect Alentejano experience. With sophisticated architecture and design rooted in the region, Vitória Stone Hotel pays a tribute to genuine Alentejo. 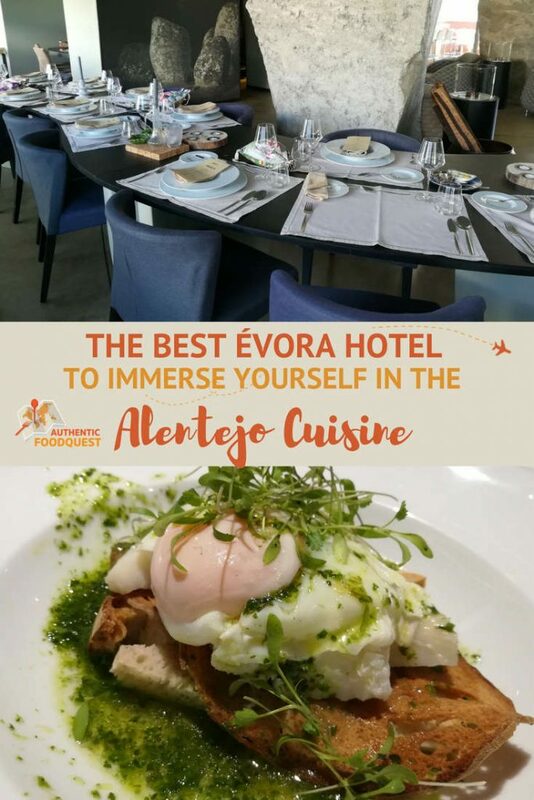 With a gourmet restaurant serving the flavors of the region, the Vitória Stone Hotel is the best Évora Hotel to eat your way through Alentejo. The Vitória Stone Hotel goes far beyond a name. It is a beautiful sanctuary born from an immense passion for the Alentejo region. It is rooted in the traditional, without leaving sophistication aside. This boutique hotel has 48 rooms spread out over three floors. 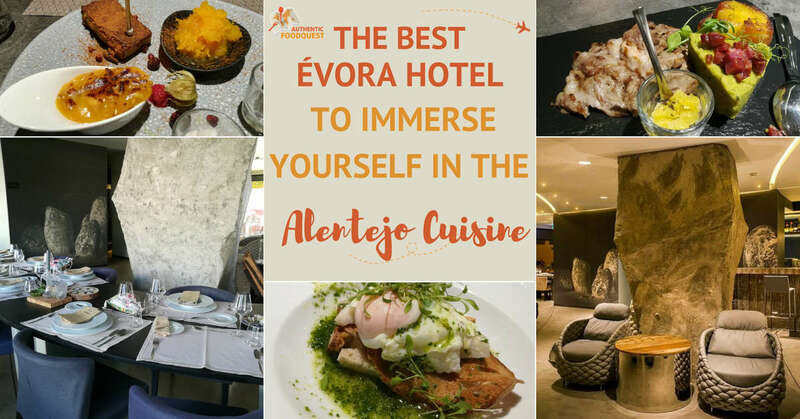 Staying at a hotel that offers a slice of the true life on Alentejo as well as an award winning gastronomic restaurant, were two of the key reasons that attracted us to Vitória Stone Hotel. As soon as we walked in, we were immediately struck by the sophisticated design, with imposing granite stones and rustic elements. The warm colors and subdued tones welcomed and immediately put us at ease. Our room was cozy and warmly decorated. Featuring high ceilings and a private balcony, the room felt much larger in size. Modern conveniences with wifi, English language TV channels, small luxuries like robes, slippers and L’Occitane bath products, we felt right at home. Our only disappointment is that we did not have a king or queen bed. The hotel had run out of rooms and instead gave us a room with twin beds. Book early to avoid the same mistake. Lesson learned! To stay active and relaxed, Vitória Stone Hotel offers a fitness center, sauna, spa services and infinity pool on the rooftop terrace. 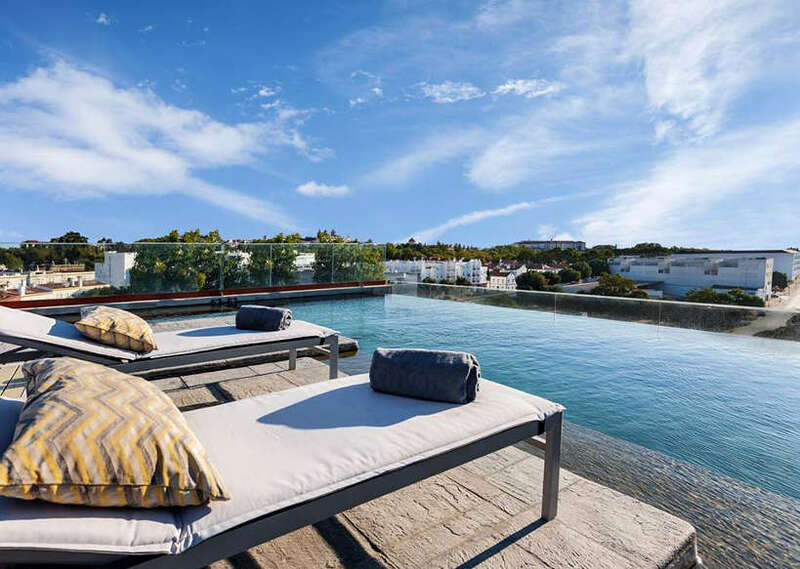 The infinity pool offers panoramic views over the historic center of Évora. This is a great spot to lounge by the pool or take a dip in the hot summer months. Our only regret is that we did not have enough time to fully enjoy the pool. We could have lounged by the infinity pool all day! While small, the fitness center is well equipped and the perfect place to work off all the delicious Alentejo food. 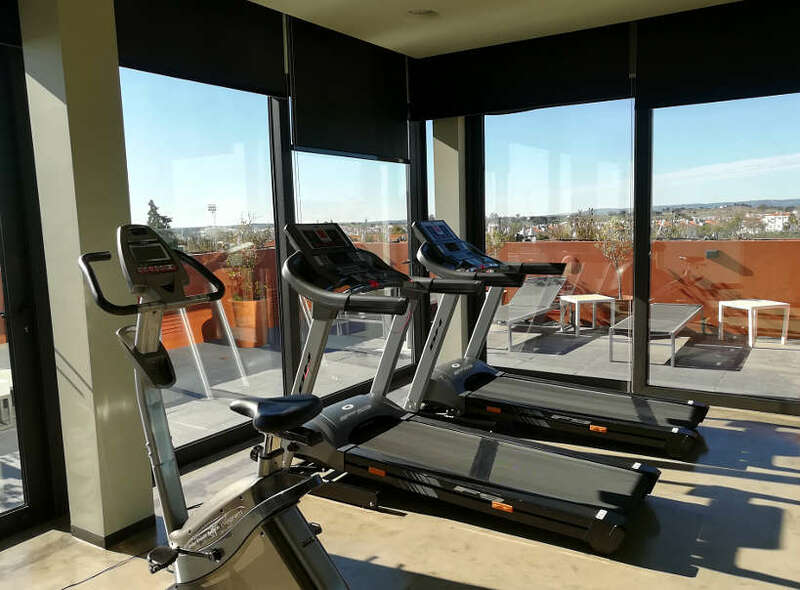 With treadmills and free weights and expansive glass windows, we worked up a sweat overlooking the surrounding area. 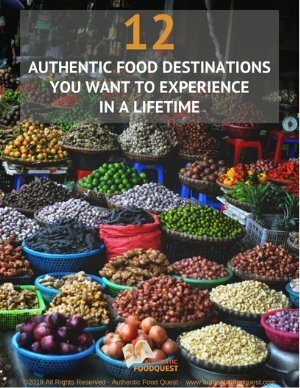 Finding a restaurant that is part of an hotel, with a unique character is not common. 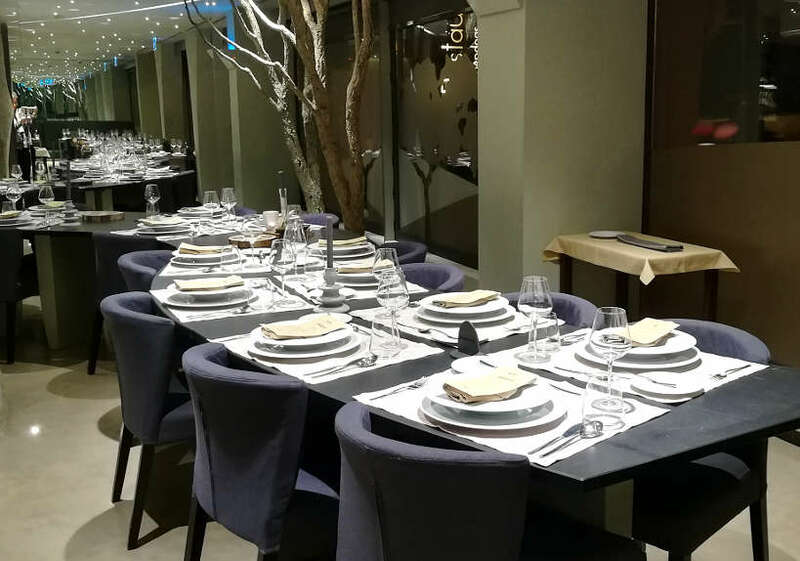 At Vitória Stone Hotel, the 5amêndoas Restaurant has made a name for itself. With a focus on local products from the Alentejo region, 5amêndoas Restaurant prioritizes partnerships with small local producers. 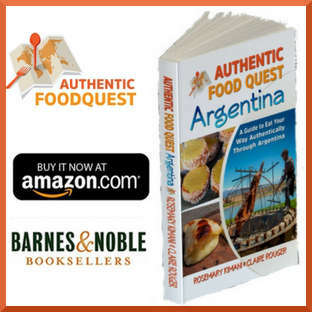 You will find local cheeses, sausages, olive oils, black pork, herbs, wines and much more. Under the command of the innovative Chef Duval Ferreira, 5amêndoas was awarded the Best Mediterranean Traditional Restaurant in 2016. The signature dish, black pork from Alentejo, is the one dish we were most excited to try. As the restaurant celebrates the local flavors of Portugal, it was no surprise to see bacalhau or codfish on the menu. There are over 365 ways of eating bacalhau in Portugal and the restaurant has its own delicious version. In huge soup bowl, perfect for sharing, was a fleshy and tender piece of bacalhau placed on top of migas or bread dish, swimming in a light coriander flavored broth. The fresh coriander flavors exploded in the mouth. The texture of the migas combined with the soft codfish was simply delightful. The perfect blend of local Portuguese flavors. We could not miss this dish that was instrumental in the restaurant receiving the Mediterranean Award. The black pork or porco preto is the most popular meat in Alentejo cuisine. What makes the pork so tender and flavorful is that the pigs are allowed to roam freely, grazing on acorns from the oak trees. In this dish, we had the plumas or pork shoulder. 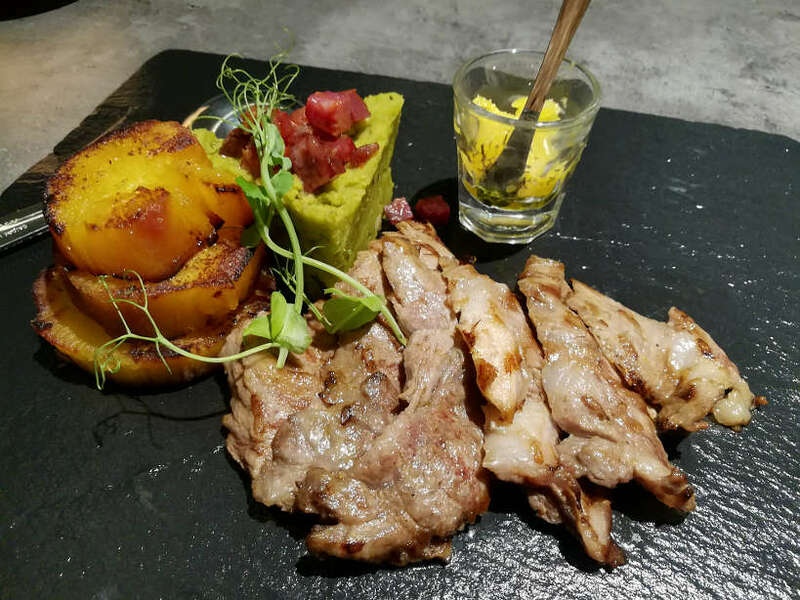 The black pork is grilled, served with sweet Potato lightly sauteed and a broad beans puree. The meat was literally melting in the mouth with a tender and juicy texture. The sweet and savory combination of the sides made for the perfect accompaniment. It is a truly amazing dish that deserves the recognition! For the sweet course, 5amêndoas Restaurant offers a trio of traditional conventual desserts to please your sweet tooth. These desserts are made in the tradition of the conventual desserts with lots of sweet and egg yolks. To start, we had the Encharcada de Évora, a creamy and soft dessert served with cinnamon on top. It is mostly made of lots of egg yolks and sugar. Battered and mixed with water, the ingredients are then cooked in a pan and served with cinnamon. 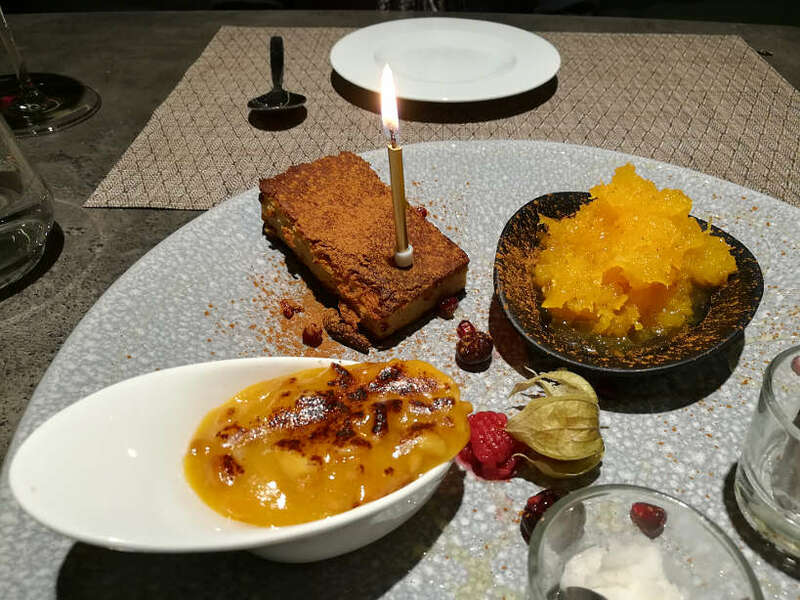 The second dessert was the 5amêndoas Restaurant Marble. This dessert is made with almonds, egg yolk and sugar. And finally, the traditional Sericaia dessert, a typical Alentejano dessert from the convents of Elvas, a city east of Évora. It is an egg pudding dessert, made with the traditional recipe including wheat flour, sugar and egg yolk ingredients. This was our favorite dessert with a smooth texture and a nice sweet finish. 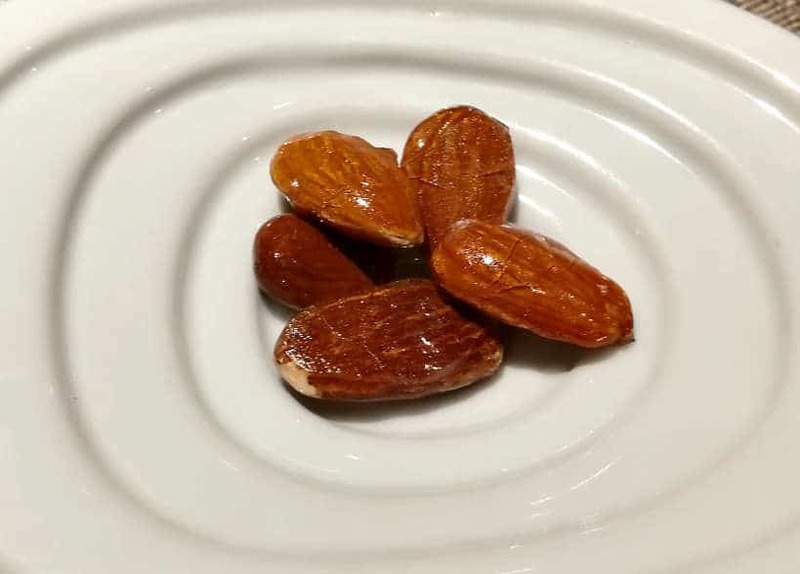 To finish the meal, 5amêndoas Restaurant offers 5 caramelized almonds to their guest inspired by an old Alentejo wedding tradition. Each almond represents a wish for: health, longevity, fertility, prosperity, and happiness! The Alentejo region has numerous vineyards that date back to the Middle Ages. Wines from the region are very popular in Lisbon cafés and restaurants and found on wine lists all over the country. 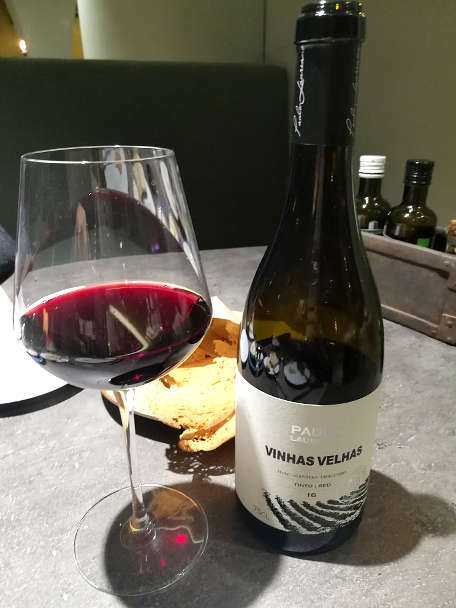 With our meal, we enjoyed a delicious bottle of red wine, Vinhas Velhas, from one of the most renowned Portuguese winemakers from the Alentejo region. The wine had notes of plum and wild berries and a slight touch of spice. Not too strong, the perfect wine for the pork and Miga dishes. Pennyroyal is an herb found in the Alentejo fields. It’s a very popular herb that grows like coriander in the region. When it’s harvested, it’s essence is distilled into a light aromatic liquor. 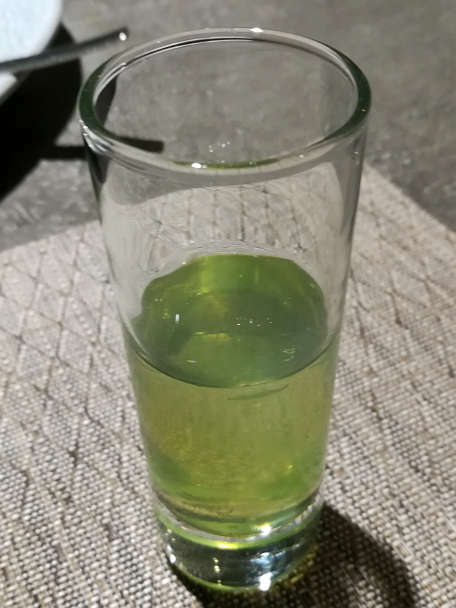 We had it as a digestif after our meal and were quite surprised by its fresh taste. In the mouth, the flavors are minty and the taste surprisingly not too strong. One great way to experience an area like a local is to live like a local. The Vitória Stone Hotel offers you the best of the Alentejo region. The unique decor using elements from the region and the friendly staff, you can comfortably refer to the hotel as your home away from home in Alentejo. The food at the award-winning restaurant 5amêndoas Restaurante is exceptional. 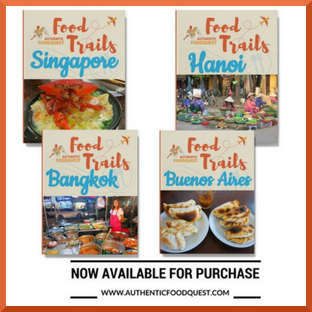 With ingredients sourced from small regional producers, you can enjoy the local and authentic flavors of the region. The breakfast buffet deserves a special mention. 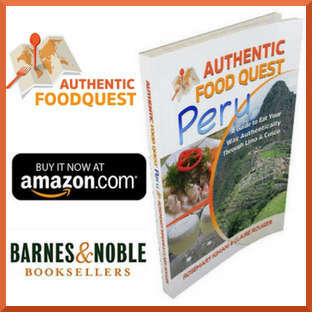 Find a large variety of fresh fruits, local bread and cheeses, meats and much more. Disclosure: Our stay in Évora was supported by the Visit Alentejo Tourism Board. Opinions expressed in this article are always our own. This article contains affiliate links. When you book on Booking.com, we earn a small commission at no additional cost to you. 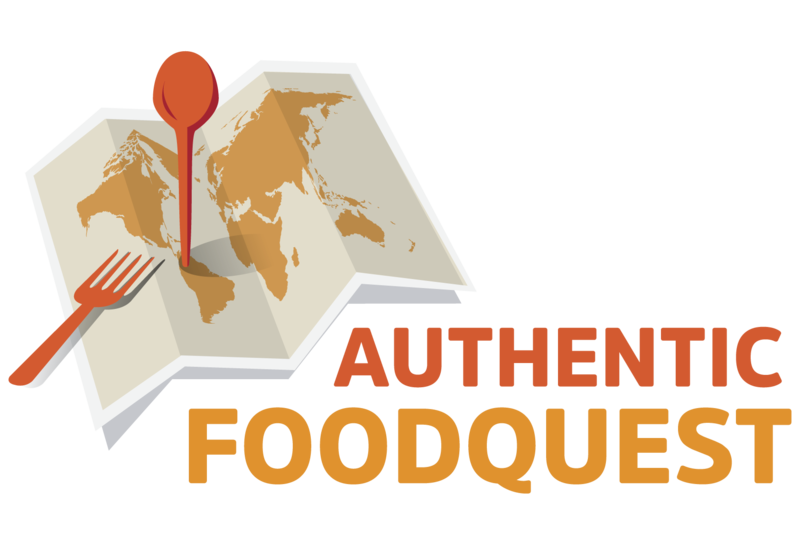 It just helps us keep eating our way around the world at Authentic Food Quest. I remember trying the Vinhas Velhas Alentejo Wine a few years ago in a restuarant in Lisboa. It had a very aquired taste to it. I remember the after taste. It was alright for me as I don’t drink wine often. I prefer beer. 🙂 But seeing the photo of it did bring back some good memories. There are so different kinds of wines in Portugal. I’m more of a wine drinker and really like the Alentejo wines. The craft beer scene is growing and there are lots of excellent options as well. Whatever your beverage choice, Portugal has a drink for you 🙂 Thanks for stopping by. Wow, the pool and the food look amazing! 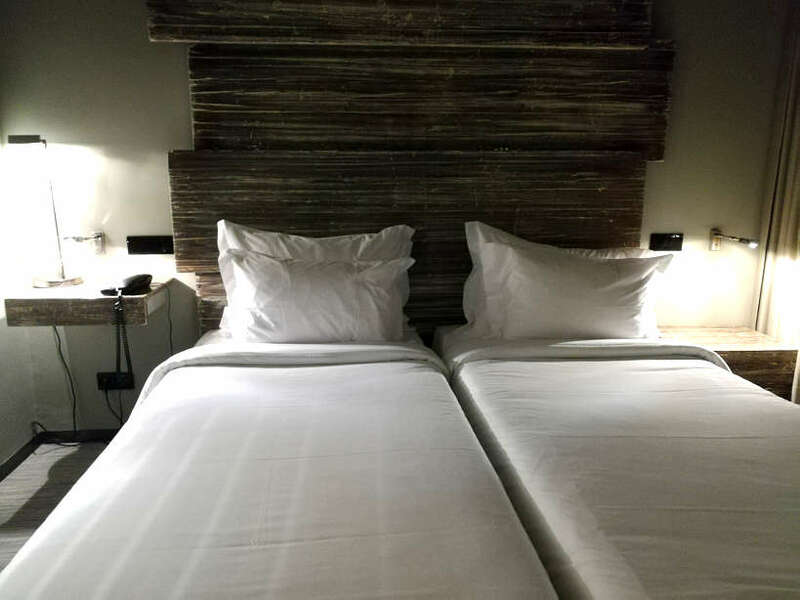 Ah, the twin bed thing seems to be common in Europe – it always happens to me! But this hotel looks lovely – especially since they have l’Occitane on hand. You are right Sofia, the amenities did make up for the amazing stay. A great stay all around. Thanks for stopping by! Oh man, I was in Portugal in June and didn’t even know this place existed. There is so much to see there! That stone hotel looks right up my alley- I love unique accommodations. Hi Tamara, now that’s a reason to go back to Portugal. 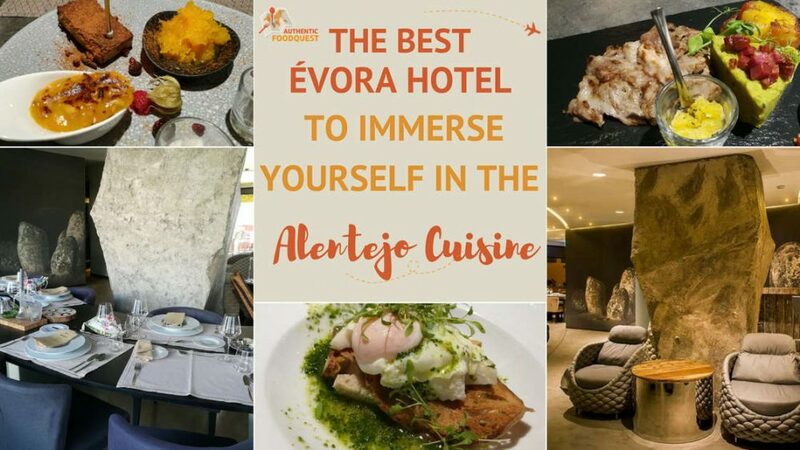 Don’t miss Evora and Vitoria Stone Hotel on your next trip. You’ll not regret it! My latest post is about Portugal, and now I’m reading a post about it. Maybe it’s really time to go visit? Évora looks perfect for me since I’m interested in heritage sites. Would love to stay at Vitória Stone Hotel too. That infinity pool looks great. That’s a sign…time to go back to Portugal. What an amazing country. And since you love culture and heritage, you must explore Evora, one of the best preserved medieval cities in Portugal. Thanks for stopping by! 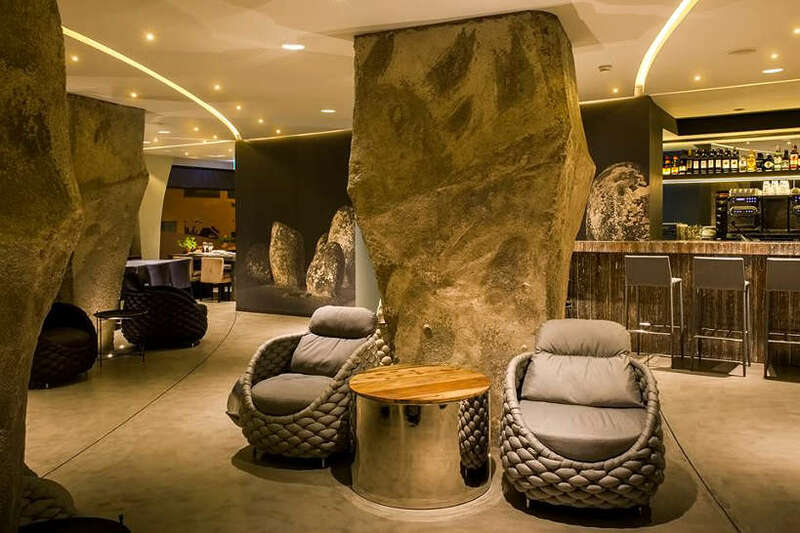 The style of the hotel looks really interesting with its granite stone interiors. We love Portuguese food and the food in this region looks great, especially like the sound of the black pork. It is good to find a hotel’s restaurant which serves authentic local food. 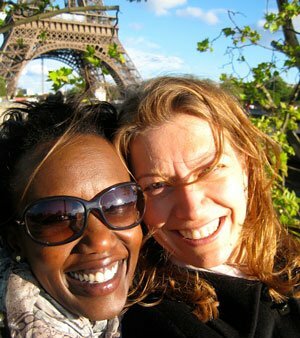 We were quite impressed with the overall experience and especially the integration to the local culture. The restaurant was for us the best experience. Stay at Vitoria Stone on your next trip to Portugal. Thanks for stopping by. What a lovely hotel. I might not even mind working out with those views to look at while plodding away. They are a lot better than my current gym’s views. The food looks so interesting and is presented beautifully. Great introduction to this hotel. So glad you enjoyed the article, Kathleen. I worked out at sunrise overlooking the city and it was magical seeing that perspective of the city. With the amazing food, you’ll definitively need to hit the gym! Hope you get to Vitoria Stone Hotel soon. Thanks for stopping by. Any hotel that offers L’Occitane bath amenities is a winner in my books. 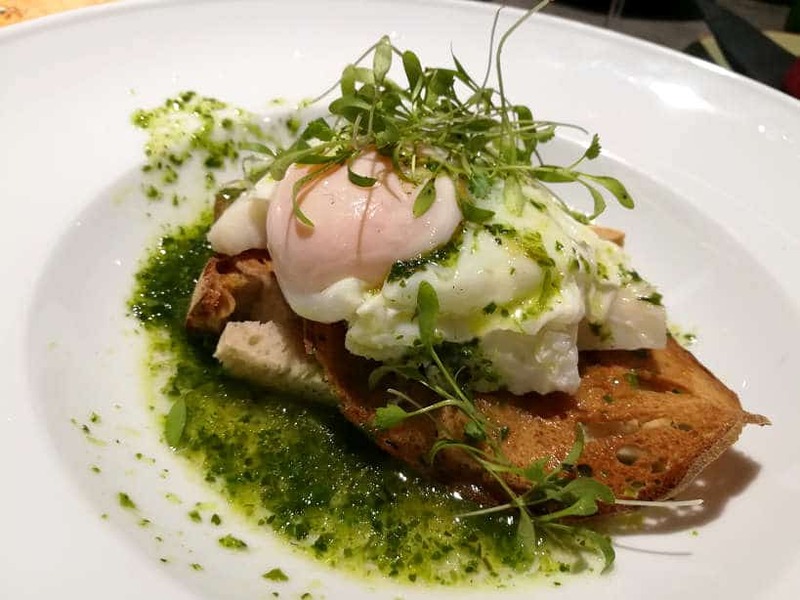 I love the look of that fish – especially with an egg on top. I’ve put eggs on pizza and with pork, but never fish. Suddenly I’m craving Portuguese food! What’s amazing about Vitoria Stone Hotel is that the sophisticated side is always present. Those little amenities do help make the experience. The food, though is at another level. Incredible service and flavorful regional food and wine. You can’t ask for anything more! Thanks Jody. This hotel sounds amazing – give me a view like that for the pool and fitness center and I’m in! The wine looks delicious, but I’d be interested to try the Pennyroyal and see if it actually helps with digestion. A great stay indeed. The pennyroyal was quite interesting in flavors – a little minty and refreshing. Well worth the experience. Highly recommend Vitoria Stone Hotel if your travels take you to Evora. Cheers. This looks like a fabulous hotel … and I’m picky! What a great way to explore Evora and it’s food and cuisine. I’d love to try Vinhas Velhas, as it sounds like a Portuguese classic. Glad you enjoyed discovering this hotel Carol. Truly the perfect way to experience the best of the region. The food and wines are absolutely amazing!! Thanks for stopping by. I love when hotels have a phenomenal restaurant. It looks like a great place to experience some of the best flavors of Portugal. My husband and I run into the two twin beds pushed together a lot! I also love the extra amenities like the gym and the pool! Looks wonderful! Thanks so much Paige and glad you enjoyed discovering the hotel through the article. Indeed the twin beds was an inconvenience, but the food and amenities made up for it 🙂 Thanks for stopping by! !